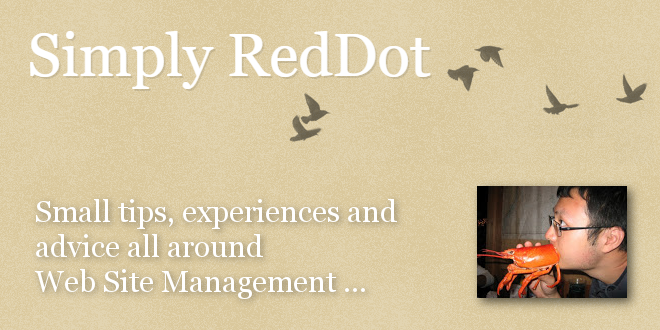 Simply RedDot: "Slow CMS Due to .NET Preexecution" - Open Text Web Solutions Usergroup e.V. Simply RedDot: "Slow CMS Due to .NET Preexecution"
If active scripting in project is configured to aspx, then a cache dll is created on the server's "Temporary ASP.NET files" folder for every SmartEdit page access, page preview and page publish. Management Server slows down as more cache dlls are created within "Temporary ASP.NET files", eventually Management Server becomes unresponsive when accessed via SmartEdit, page preview or publishing. The solution to delete the amounting cache dlls via an automated task, preferably nightly, schedule it so it does not clash with publishing or user access time period. Create user-defined job that runs nightly, schedule it so it does not conflict with existing publishing time.